In-line with the latest design trends and at prices much lower than high street retailers our premium Quartz Stone tiles are perfect for adding a chic hotel-feel to your home. These luxury tiles have an eye-catching quality, gloss finish and provide an instant sparkle to any modern design scheme. Used by some of the finest establishments in the world, these tiles are guaranteed to make a statement. They are a great way to introduce glamour and light into your space and create an instant feature floor or wall. You can use them all over the home, from kitchen, living areas to luxurious bathrooms. You can also combine them with other porcelain tiles from our range to create fantastic designs. Each tile has a sparkle and glimmer that brings out the light in the room, making the space look clean and impressive, and helps tie things together in a beautiful way. Equally, these tiles are hardwearing and durable, whilst also having a high shine polished finish that really makes them glisten. Each sparkle floor tile in our range comes with a micro bevel edge and do not need to be sealed once installed. They are manufactured to CE standards and contain 93% quartz. Additionally, if you have underfloor heating, sparkle quartz stone tiles from Stone Tile Company are a great purchase. These sparkle tiles will be able to cope with heat from these systems so long as less than 150 watts is produced. So if you like what you hear and think quartz floor tiles might be the way to go, take a look at our excellent sparkle quartz tile products and find a great buy for your indoor space. 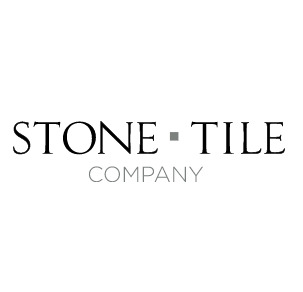 And don’t forget to check out our general installation guide and advice on tile patterns too – these can prove very helpful indeed!